Are you STRUGGLING with sibling fighting and jealousy? Want to stop sibling rivalry so that you can enjoy your kids again? You are not alone! I have been hearing this from so many parents this summer. Sibling rivalry is at the top of their lists of challenges. Here’s a the first in a series of posts to transform your kids from habitual combatants to partners-in-crime. Why the bickering? Why the jealousy? Why can’t they just get along? SIBLING RIVALRY. Such an innocuous sounding name for something that causes us so many headaches and so much heartache! We are evolutionarily hard-wired to seek connection with our caregiver. We rely on it for our survival. Connection for children means lots of attention. And when children feel they aren’t getting enough of it, they will try very hard to get some. And when children feel they don’t have enough of us, they take it out on each other. Attention paid to a sibling is attention they aren’t getting. They think (consciously or unconsciously,) “If she weren’t here, I’d have mom all to myself.” They (consciously or unconsciously!) will test you to make sure they are still the apple of your eye. 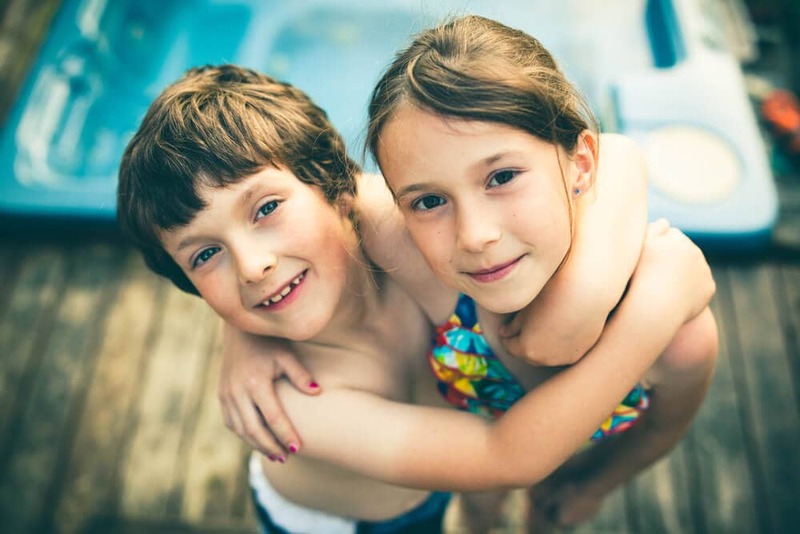 Their need for attention and connection + the fact that children see each other as the reason WHY they are not getting enough attention = sibling rivalry. You hear from the next room, “Mom!! He won’t give me back my guy!” They want you to drop what you’re doing and solve it. As a parent and a parenting coach, I ask, “What’s driving the behaviour?” In many cases of sibling fighting, it’s a need for more connection and attention from YOU. What can you do to get to the root of the problem? One-on-one time every day with each child. Fill them up with attention and show them that you could never love anyone more than you love them. Seriously. I know *you* know how important it is to have one-on-one time with each child. We all do! Starting NOW make a commitment to yourself to have 15 minutes a day every day with each child. You don’t need to go for ice cream, you don’t even need to leave the house! I have a magic tool for you. It’s called Special Time. Special Time is 15 minutes a day alone with your child, immersing yourself in their world. Build with Lego, play Frozen (they get to be Elsa! ), have a pillow fight, make them into a pizza. (How do you make your child into a pizza? Roll out the “dough,” top it with pretend sauce with a big rub down, sprinkle with fingerfuls of “cheese” and other toppings. “Bake” and eat! Delicious and hilarious!) Roughhouse, chase each other, make each other laugh. Special Time is like medicine or essential nutrients for kids. It’s not just a nice piece of cake for dessert, it’s the birthday cake that your favourite person baked just for you in your favourite flavour in your favourite colours with candles and sprinkles on top. Special Time: No screens, no reading, no baking cookies. You are in their world of childhood, play and imagination. It can be really hard! Our ‘play’ muscles are so rusty. Put away your phone and don’t think about work or the To Do list. It’s just 15 minutes. You can do anything for 15 minutes! My 10 year old daughter says that Special Time is “how I know you love me.” She calls Special Time “our game” and it’s different from one day to the next. Sometimes I make her into food, sometimes we draw on each other’s backs, sometimes we play with stuffies. She invents games for us like no one’s business. It might take you and your child some time to figure out what to do together if you aren’t used to playing. Don’t give up! If you want to reduce sibling rivalry and fighting, give your children the gift of YOU and your time. Set your intention for Special Time each day with each child. If you have a partner and more than one child, you can trade. You might not make every day but if you try to make every day you will make Special Time happen on more days. Sibling rivalry is caused by a primal need for attention and a fear that you love their sibling more than them. This concentrated super-power form of one-on-one time will make your child feel so loved. They will bask in the glow of your attention. They will be confident that their sibling isn’t loved more. If you do this, you WILL see a marked decrease in sibling rivalry. Try Special Time for a week and let me know how it goes. Better yet, share with us on the Facebook page. 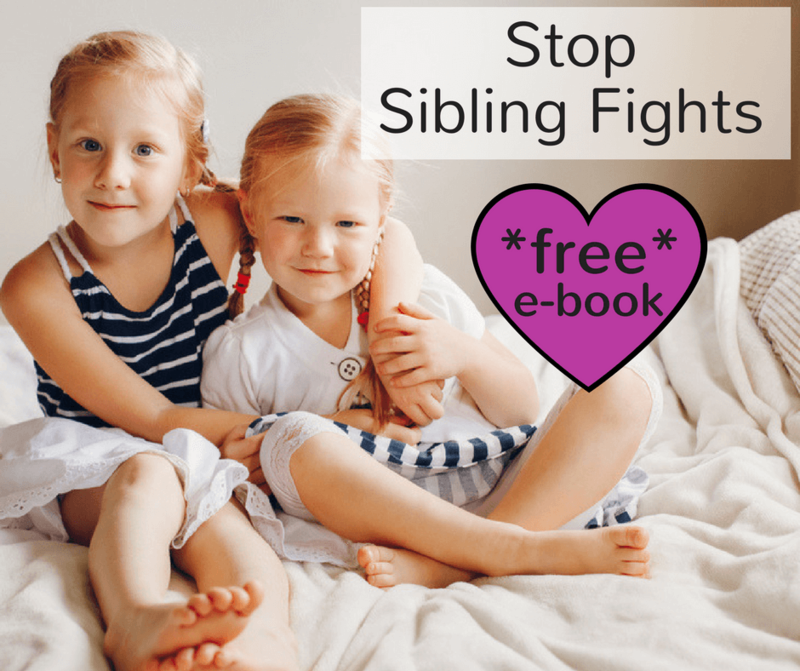 Get your *free* ‘Stop Sibling Fights’ e-book. Sign up below and I will send you my *free* e-book, Stop Sibling Fighting. I’ll also add you to my newsletter list. I share parenting wisdom via your inbox a few times a month. And don’t worry, I will never share your email address and you can unsubscribe at any time. 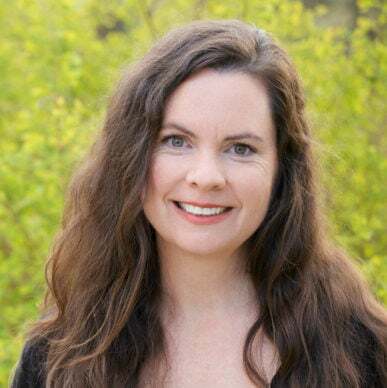 Sarah Rosensweet is a peaceful parenting coach and educator. She lives in Toronto with her husband and three big kids (ages 10, 13, and 17). Sarah teaches parents a non-punitive, connection-based approach that uses firm limits with lots of empathy. Sarah is an API certified parenting educator and is certified by Dr. Laura Markham as an Aha! Peaceful Parenting Coach. Find out how to make her your parenting coach. Excellent (and much needed) reminder! Thank you, Sarah!! I was a parent support group leader for years. One member announced to the group that her daughter was saying ridiculous things like, “Billy keeps touching me and he won’t stop.” Those words were some that I had used in my desperation to get help. Instead, the only thing I could do was run to a tree because he couldn’t climb. One winter my parents left us home alone while they went to a party. There was snow on the ground and it was very cold out. I was wearing Bermuda shorts and a baggy football shirt as our house was always warm. When he lunged after me I dodged and he fell. He laid there and I thought I had killed him so when he started to rise I ran out the back door barefooted. I spent the next four hours hiding under a tarp covering my dad’s boat. The snow insulated the small space enough that I could stay warm. When my parents came home I waited until they were inside and crept in. Mom caught me and began questioning me… Evidently he assumed I ran to someone for help. He made up a wild story about me trying to force myself on him. I don’t tell you this because I think your son is bad, I’m telling you this because I feel daughters’ voices become lost when hushed. As a child I learned early on that I had no value in our family. My words and feelings having less value has a profound effect on a child. You don’t have to post this, you can delete it if you want. Thank you for considering another view. I really do like the idea of special time but one of the reasons that I don’t keep going with it is because it’s so difficult for them to end after 15 minutes. It’s almost like I’m sending the message that I can only spare them 15 minutes. But 15 minutes every day when I get home at 6 pm and we start the bedtime routine at 7:30 and somehow have to cook dinner, eat dinner etc etc for each kid is a lot of time. Instead of filling them up, it ends in them being upset when 15 minutes is over. Everytime. It’s stressful and now I just don’t make a production out of it anymore. 10. End Special Time when the timer buzzes. If your child has a meltdown, handle it with the same compassionate empathy with which you would greet any other meltdown (“It’s so hard to stop…you can cry as much as you want, Sweetie…I am right here”) and give him your full attention in his meltdown. But don’t think of that as extending special time, just as you would not give your child anything else he has a tantrum about, like an extra cookie. Special time needs boundaries around it to signal that the rules aren’t the same as in regular life. 11. Be aware that often your child’s emotions will bubble up during special time, especially at the end. That doesn’t mean she’s a bottomless pit. It means she feels safer with you after this time together, so all those feelings she’s been lugging around are now coming up to be processed. Or it means that letting go of you brings up all those feelings of how hard it is to share you. Often kids use this time to express their upsets, so it’s good to schedule a little cushion at the end in case your child has a meltdown, especially when you’re just starting out, or when your child has been having a hard time. When the meltdown begins, just empathize, and give yourself a pat on the back for being the kind of parent your child trusts enough to express all these big feelings. Once she cries, those feelings will dissipate, and she’ll feel so much better–and so much more connected to you. I really love this idea and want to implement it into our home. My hurdle is that I have twins who feel as though I have to do the exact same thing with one that I do with the other or it’s not ‘fair’ how do I show them that doing something different is just as special as doing the exact same thing? Thanks for this Sarah! Any tips for helping a particularly jealous child from infringing on her siblings’ special time until or after it’s her turn? Especially if my spouse isn’t home to tag team. Hi Amy! I would hold the space for tears around that jealousy. (Make sue the other sister knows you WILL get to her after you help her sister with her big feelings.) So it’s: “I know! You wish I could have Special Time only with you! You don’t want me to have ST with anyone else.” (or whatever resonates.) And then: “But you already had your time- now it’s your sister’s time.” And see if she can shed some tears about it. (Did you see the crying article in my FB group?) AND also see if there is something she would really like to do while you are having your ST (after the tears- or instead if you don’t feel the tears are there or if you don’t have time.) A special toy that she only gets during siblings’ ST? Last ditch- I’m not oppposed to screen time if that’s what it takes to get ST done with no interruptions. Good luck! I love the idea of special time but I have 6 kids ranging in age from 18 months to 8 years old. 15 minutes a day with each child adds up! How am I supposed to distract the other kids while I am busy playing for an hour and a half every afternoon?